GET 3 CLASSES FOR $45! THAT'S 3 CLASSES FOR LESS THAN THE COST OF 2! 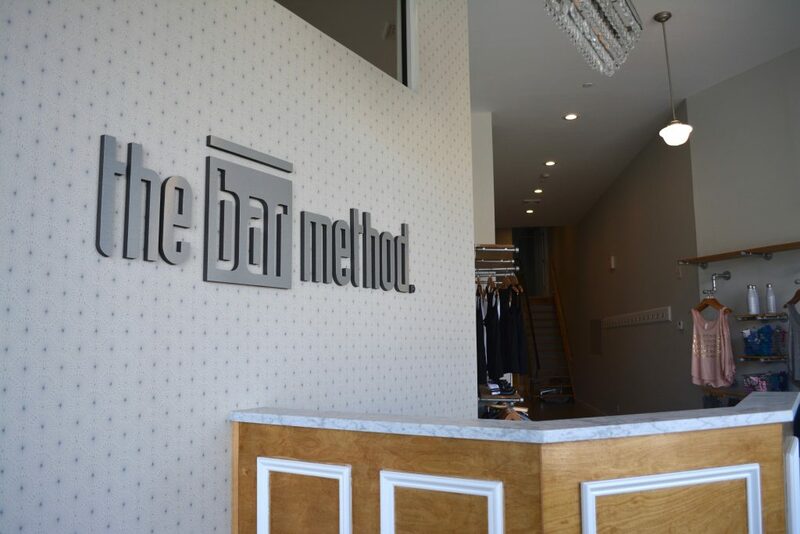 The Bar Method Huntington Village is a boutique fitness studio offering barre classes for students of all levels. The signature method uses your own body weight, the ballet barre and a few props to create a transformative workout that results in long, lean sculpted muscles. Not only does it reshape your entire body, but it allows you to channel your inner strength and leave class feeling strong, confident and poised. Highly-trained instructors customize the exercises to ensure they are safe and effective for any age and every body, including modifications for pregnant women and students with injuries. Our staff and community are here to support you from the moment you walk through the door. 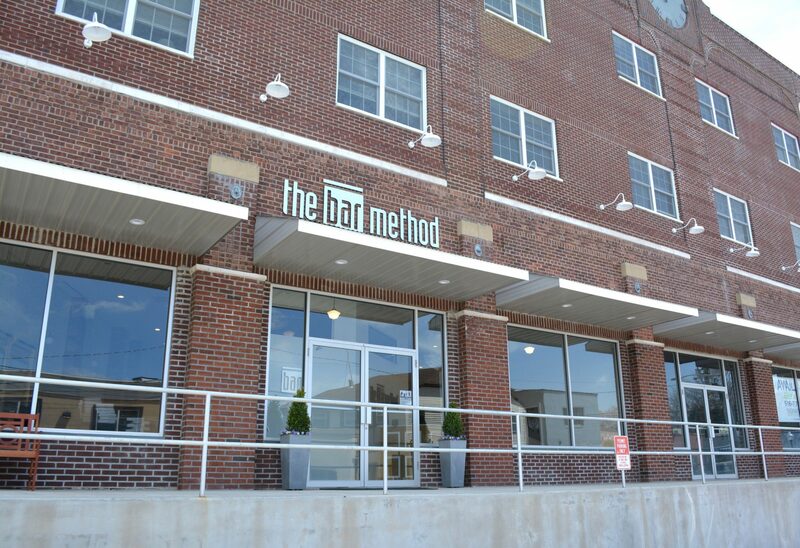 The Bar Method Huntington Village is located just off Route 110 and 25a. 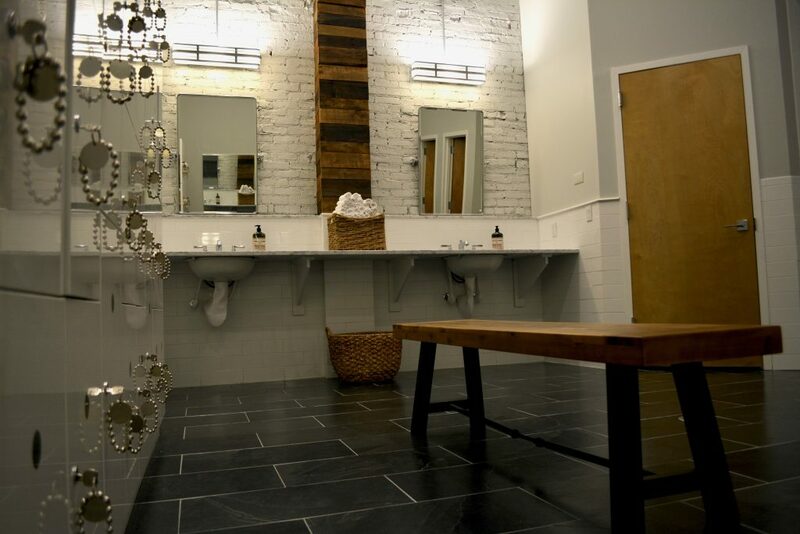 The studio features an inviting lobby, retail area, childcare, and locker room equipped with a shower. We are open 7 days a week with classes throughout the day. There is parking in front of the studio, on adjacent streets and in nearby public lots. Lauren Helm will tell you she found The Bar Method at the perfect time in 2009: after a recommendation from one of her training partners to add cross training to her regime. A lifelong athlete, Lauren sailed, played lacrosse & ice-hockey, and ran marathons and triathlons. Her muscles were bulky and she was plagued with injuries. Lauren immediately fell in love with the mental and physical challenges of The Bar Method, and she quickly saw her body transform. After 18 years as a biology teacher, Lauren decided to combine her passion for teaching and The Bar Method, and bring a studio back to her hometown. If you are on the waitlist for an early morning class, please check your status before class or sign up for text message notifications to be sure of whether or not you made it into the class. If you cannot attend class, cancel your class online or on The Bar Method app, to avoid being charged for a no-show. Cancellations made via email or voicemail may not be picked up in time. Early morning classes (before 9:00 am), and all weekend classes require cancellation 12 hours in advance to avoid a penalty. Weekday classes that begin after 9:00 AM require cancellation 4 hours in advance. There is a $10 charge for a late cancellation, and $20 for a no show. Please wear exercise pants that cover the knees (or wear compression/bike shorts under above-knee shorts), a top that cover the midriff, and closed toed socks. 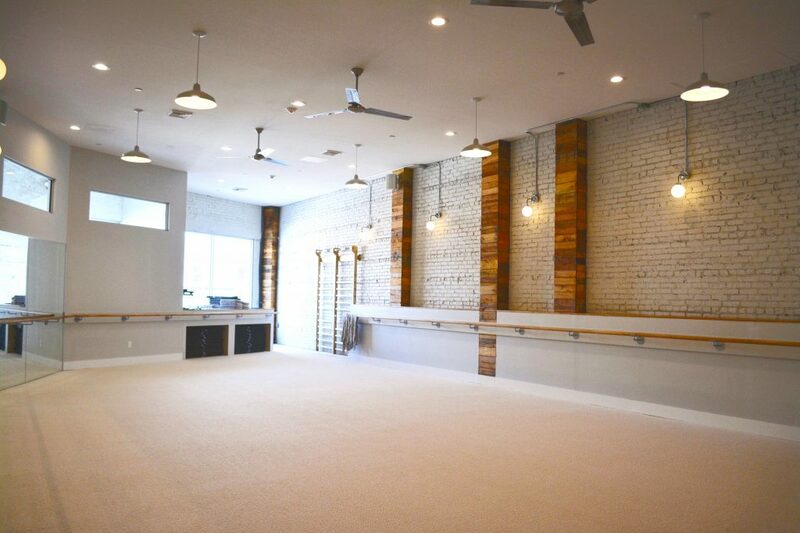 Students may bring their own socks, or purchase Bar Method socks with sticky grips at the studio. Only water in a capped bottle is allowed in the exercise studio. We provide towels without charge. Hand towels are available outside of the Main Studio, and bath towels are available in the shower area. Please leave your towel in the hamper on your way out. It is strongly encouraged that all pregnant clients speak to their instructor to review appropriate modifications before taking a standard class. Clients under 18 must be accompanied by an adult or have approval from the studio manager. Childcare is available during select class times for children ages 8 weeks through 8 years. 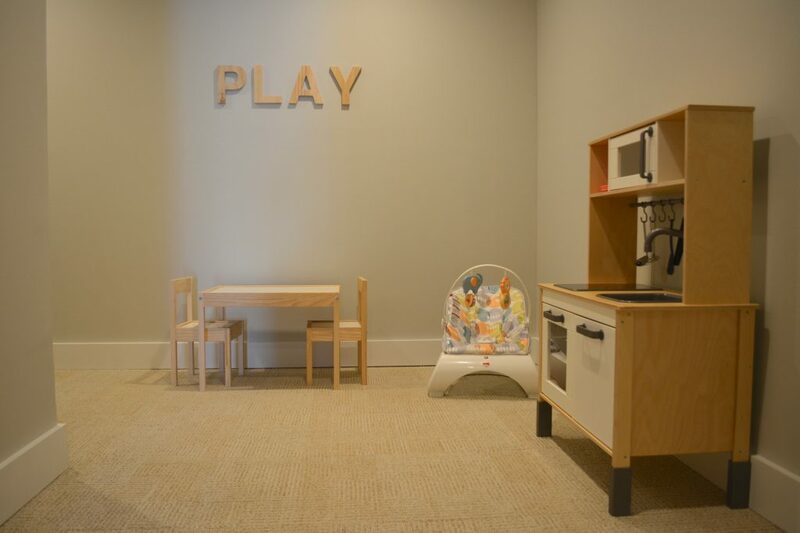 The childcare room can accommodate a total of 5 children, with a maximum of two infants. You can make reservations for childcare online or through the app up to 7 days in advance. Childcare costs $12 per child and is available during select class times. Please check the schedule. Only water in capped bottles, and bottles for infants are allowed in the room. No other drinks or food is permitted. At no time should children be left unattended in the studio. Children are not allowed to play or climb on the stall bars and other exercise equipment. Childcare is provided so you can truly commit to yourself during class. If your child is not toilet trained and you would like the childcare assistant to change them, please leave a diaper bag. Every attempt will be made to console upset children, if your child cannot be calmed, you will be pulled from the class. If your child is sick, please do not bring them to the studio. Please cancel your reservation at least 2 hours prior to class time to stay in the early cancellation window. Late Cancel/No Show will forfeit the session. Two hour parking is available in the 8 spaces in front of the loading dock. Please do not park in the tenant parking lot, or the lots of adjacent businesses. Additional parking is available on Stewart Avenue, along 110, in the Elks Lot on 25a, or the Solid Rock Lot on 110. Club Bar members may freeze their memberships once per year for 15 to 30 days. Additional freezes cost $40. Single classes expire in 30 days. 10 class packs are good for 3 months.